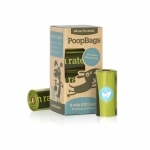 Earth Rated® extra large bags are perfect for dog waste pickup and cat litter duty! 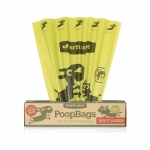 Conveniently packaged on a single roll in a box made from recycled content that dispenses one bag at a time. 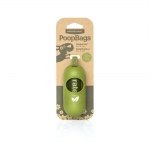 This Earth Rated® green dispenser is a convenient holder for all standard-sized rolls and has an adjustable strap that allows it to attach to any size leash.